Just how much training do school bus drivers in MI really have? I recently spoke at a legal conference for injury attorneys who litigate serous truck injury and bus accident cases. One point I made was how incredible it is that school bus drivers are exempt from many important federal safety laws (as adopted by the state of Michigan) that other commercial motor vehicle carriers and drivers must follow. As I wrote last week, “If children are our “most precious cargo,” shouldn’t mandatory safety regulations that apply to other commercial vehicles like 18-wheelers also apply to school buses?” Today I’d like to focus more on the school bus driver. Amazingly, even though these drivers are entrusted with driving our children, they too have a lower level of safety training criteria than drivers of trucks and even of other commercial bus lines such as Greyhound. This is not to pick on school bus drivers. Many that I’ve met really enjoy and care deeply about their jobs. But as an attorney and safety advocate, I don’t understand the lower level of training and safety regulations for school bus drivers. I’ve now spoken at well over a hundred legal conferences and seminars, teaching lawyers from all over the country about how to litigate bus accident cases and trucking cases, and to this day I still have yet to find anyone that can explain to me why the bus drivers who carry our young children to school have less training than a bus driver who drives a commercial bus line, or why a truck driver who carries televisions or lettuce has to comply with a higher level of mandatory safety regulations than a school bus driver. As an accident lawyer, I’ve personally litigated several tragic school bus accident cases over the past two decades. From experience, it’s not that much of an exaggeration to say nearly anybody can drive school buses, or stand in as substitute bus drivers. Typically, it’s part-time workers who receive no benefits. Many are people looking to kill time, or retirees or homemakers looking to supplement household income. But they are doing this by being entrusted with driving these very big, heavy and difficult to turn buses with lots of “no zones” (blind spots) and with little children who may be out of lines of sight who are running to or from these big yellow buses. As for the training for school bus drivers, a bus driver must hold a Commercial Drivers License (CDL) with a school bus endorsement. Often this means less than 10 hours of training. Again, I fail to understand, not just as a bus accident lawyer but also as a father, why school bus drivers – the very people we as parents entrust the safety of our children to – are exempt from many of the exact same safety regulations that we think are important enough to apply to commercial bus drivers and truck drivers transporting commercial goods. For a more more comprehensive overview of Michigan’s bus accident law, click here. 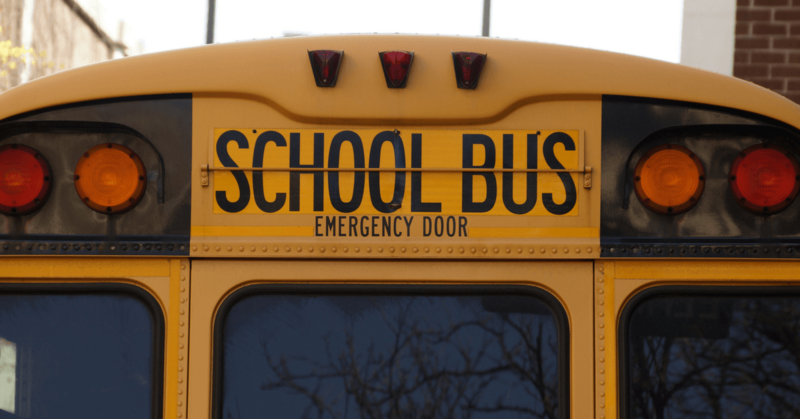 What’s the law for school bus accidents?